In this game you are going to join different green boxes and get so much points. Is everything clear? Then just use the mouse to play and be sure that you will have so much fun. Are you ready for that? So do everything to vanquish the game. 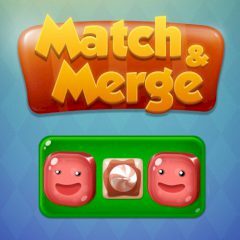 So, in this colorful puzzle game, you must match blocks to create bigger blocks and then even bigger blocks. Are you already fascinated? Then this game is for you! Here you must click on a block and move it to another spot on the board to match the colors. Well, here you can swap a block with any other block that’s the same size or smaller. Just imagine that a move can be one space, or you can find a path and get all the way across the board in a single move. Is everything clear? Then choose the game and be sure that you will manage it.